Father, I ask you for the greatest favor you can grant me: to be admitted to the Work , now that God in his great goodness wants me to work in it with all my strength, which I promise to do with God's help and that of our Lady, as well as of Saint Joseph, who from this day on I see as my special protector in Heaven. 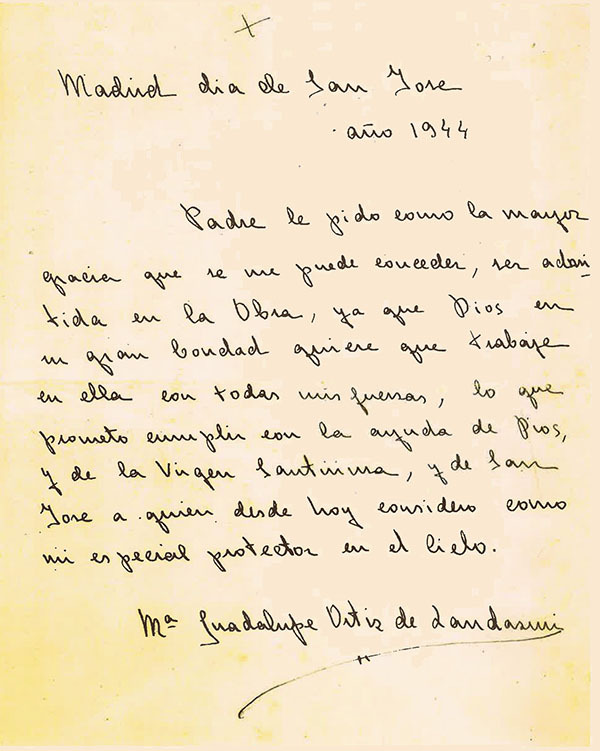 Maria Guadalupe Ortíz de Landazuri"
On 25 January 1944, Guadalupe Ortiz de Landázuri met Saint Josemaria, the founder of Opus Dei, for the first time. Following that encounter, Guadalupe began to visit on a regular basis the first women's center of Opus Dei, a small house on Jorge Manrique Street in Madrid. There she started to discover a pathway for growing closer to God in and through what she was already doing: teaching chemistry at a secondary school. During this period, Guadalupe learned how to deepen her life of prayer, growing in a personal relationship with God. She also began to spend some minutes every day reading a spiritual book and the New Testament, and started including other moments of prayer in a natural way in her daily routine. Between March 12 to 17, Guadalupe attended a spiritual retreat held at the same house on Jorge Manrique, and she was able to have another conversation with Saint Josemaria at this time. Not really knowing how to begin, she simply stated, "I really like Saint John of the Cross." According to Guadalupe, the young priest grasped where she was going with this and helped her to express herself better. He offered some ideas on how she could improve her spiritual life, and also brought up the topic of their earlier conversation: vocation. During the days on retreat, the light of God's call that she had first sensed on 25 January was confirmed in her heart. 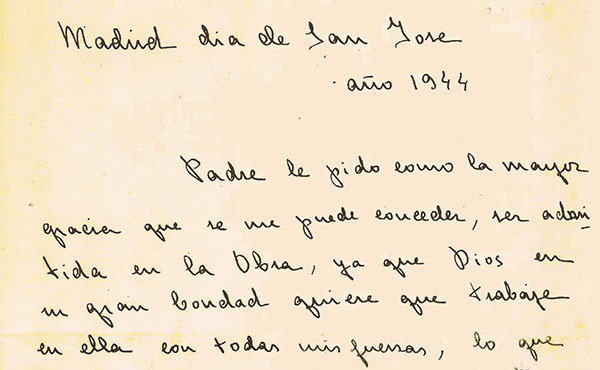 On 15 March, Guadalupe wrote in her diary: "I spoke with the Father [Saint Josemaria] and decided to join the Work." The next entry is on 19 March: "Feast of Saint Joseph. I wrote the Father asking to be admitted to the Work." 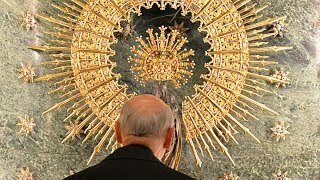 "The Work" refers to Opus Dei, i.e. "Work of God" in Latin.